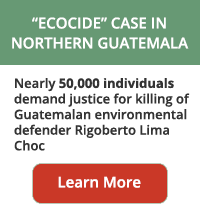 Add your voice to our petition, calling on the Guatemalan Attorney General to ensure these deaths do not remain in impunity. 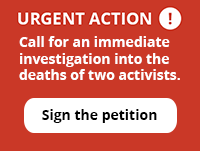 The Guatemalan government has a responsibility to guarantee the safety of community members participating in the legitimate defense of their rights, and we are calling on the Attorney General to ensure prompt, independent, and impartial investigations into the murders of both Mr. Pascual Pablo Francisco and Mr. Basilio Pascual. Please help us gather as many signatures as possible to present to the Attorney General’s office next week. 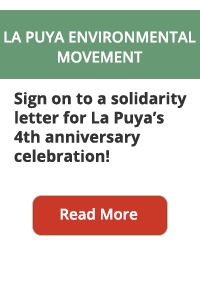 This entry was posted on Thursday, April 2nd, 2015 at 12:11 PM and is filed under GHRC. You can follow any responses to this entry through the RSS 2.0 feed. Both comments and pings are currently closed.